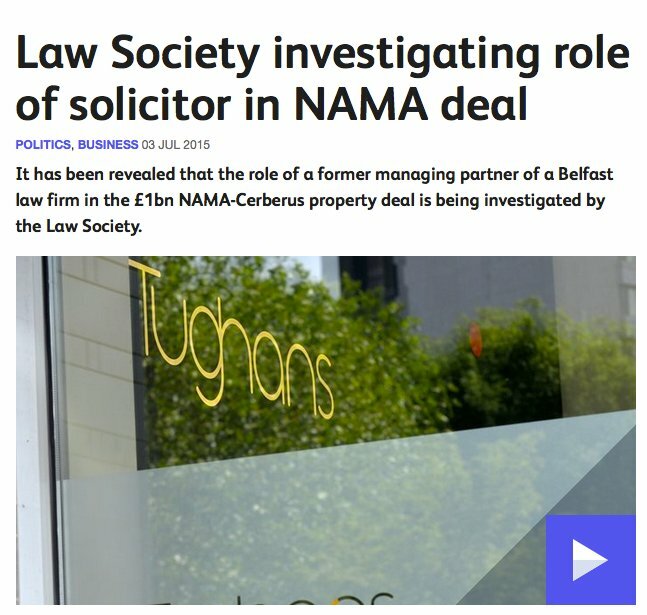 Peter Robinson’s Son & The NAMA Scandal??? What is the connection, if any, between this story and the first image reproduced below, and the second image? Answers on a postcard to Office of the First Minister, Stormont Castle, Stormont, Belfast, N.Ireland. First correct reply gets a lifetime subscription to thebrokenelbow.com! 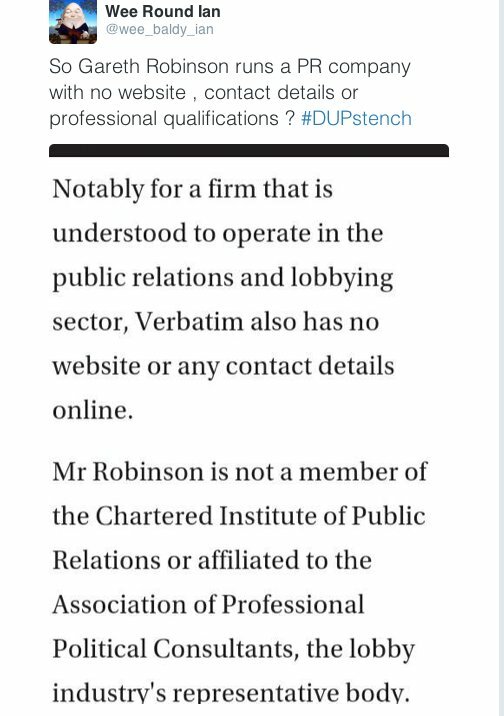 Apologies for being pedantic but Wee Round Ian’s tweet is incorrect in saying Verbatim doesn’t have a website. It’s basic but it does exist. 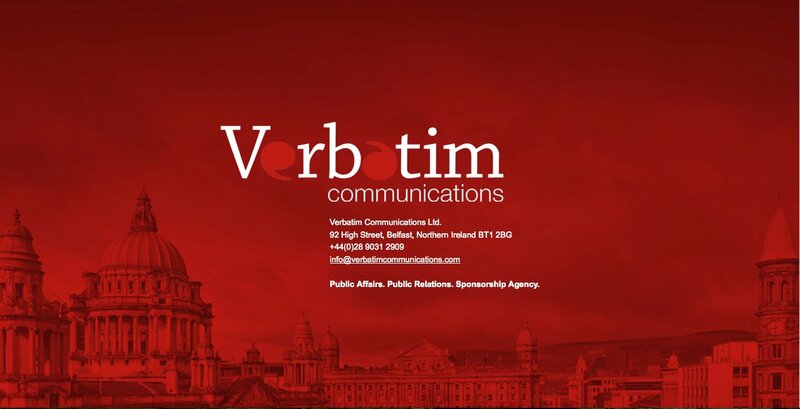 The Verbatim web page consists of a single page with an address (92 High Street) and a phone number. The question that comes first to mind, is this: when was this webpage created? Any nerds out there like to find out? Anyone like to knock on 92 High Street tomorrow a.m.? I tried the phone number which is Belfast (02890) 312909 and the answer was a standard ‘no-one here, call back later’ of the sort that is pre-recorded on any phone you can buy at Radio Shack or whatever the Belfast equivalent is these days. Not what you would expect from a bona fide business. The mystery deepens. And who is ‘Newsworthy’? Or for that matter, ‘Wee Round Ian’? This is the entirety of Verbatim’s website. It does not provide the links and information one would normally expect in a commercial website, such as mission statement, senior staff, company history, past achievements and clients and so on. One brokenelbow reader, who asks for anonymity, says Verbatim’s site was created in 2010. If so, why the paucity of other information about the company, like who owns and runs it? I guess the only solution is to bang on the door of 92 HIgh Street tomorrow morn! Okay campers? Here is my problem with the info that my anonymous correspondent has sent. His evidence for the creation of the Verbatim website is impeccable – https://who.is/whois/https://www.verbatimcommunications.com – at least to my untutored eye. But what would a normal business website look like? Well, first of all, it would tell you who owns and runs it, along with his or her photo. It would tell who the other talented staff are, what they look like and why they would be good for you, the client. It would tell you something about the business, what its record was, who its clients, and what its achievements were and so on. The sort of information that might persuade you, the person in search of a talented P.R. company, to hire Verbatim. But all that is absent here. It almost seems as if this empty shell of a website was created just for the record, to show that Verbatim existed way back in 2010, in case people asked awkward questions in 2015 or whenever. Like you were creating an alibi. I might be wrong. If so, someone please show me. I’m ready to be persuaded. But I do sniff a rat.